I can't resist a good pun - goggles made from the lids from wedding favors, brass tubing, and leather. Cheap hat from "Party City", and lots of gears. 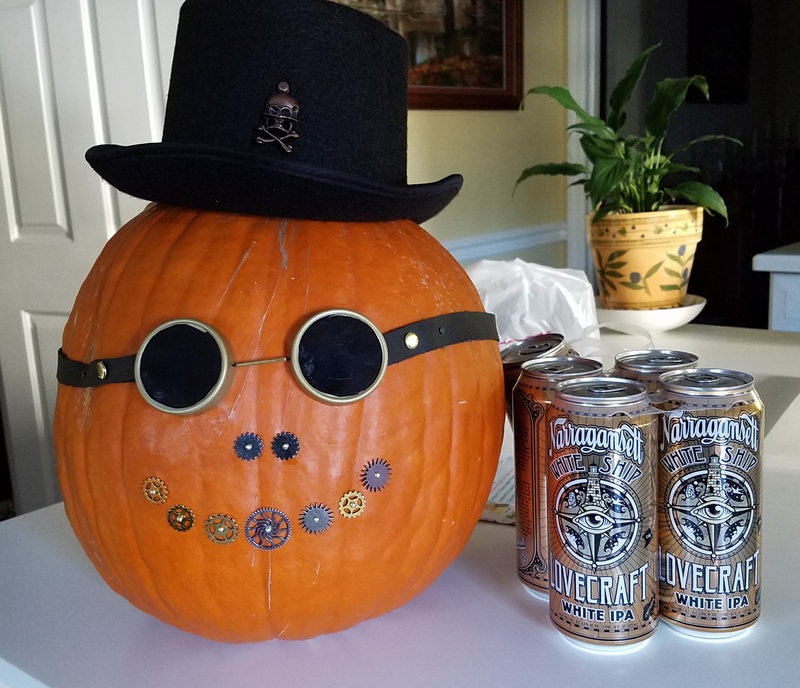 And what goes best with a Halloween pumpkin? Lovecraft Ale, of course! Happy Halloween, it's an American thing. Well done! He certainly looks a happy chap. I really meant to make a steampumpkin this year, but got distracted.. again. Oh well, there's always 2017. I do like him! Good show! Oh that's fun! That IPA looks good, too.